Forget the hustle and bustle as you retreat to your very own villa in the treetops. Set in a private enclave of similar homes, you wouldn't know this existed from the street. The current owner has overseen a simple yet stylish renovation in collaboration with a well-known local architect to maximise light and sun into newly created open plan living spaces. The soaring ceilings and the clever use of custom fittings within a crisp white palette ensures a seamless restful vibe, perfect for the setting. Seldom have we seen character, charm with little nod to a Scandinavian edge in such a modest yet tasteful package. 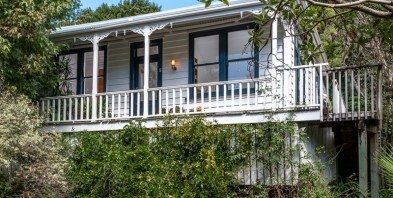 Wide verandas and large doors and windows ensure the outside and inside blend together for that kiwi lifestyle. Off-street parking is provided for two cars. This home offers both privacy and position, with a guaranteed pride of ownership that is now available to you. We recommend your early inspection to avoid disappointment.